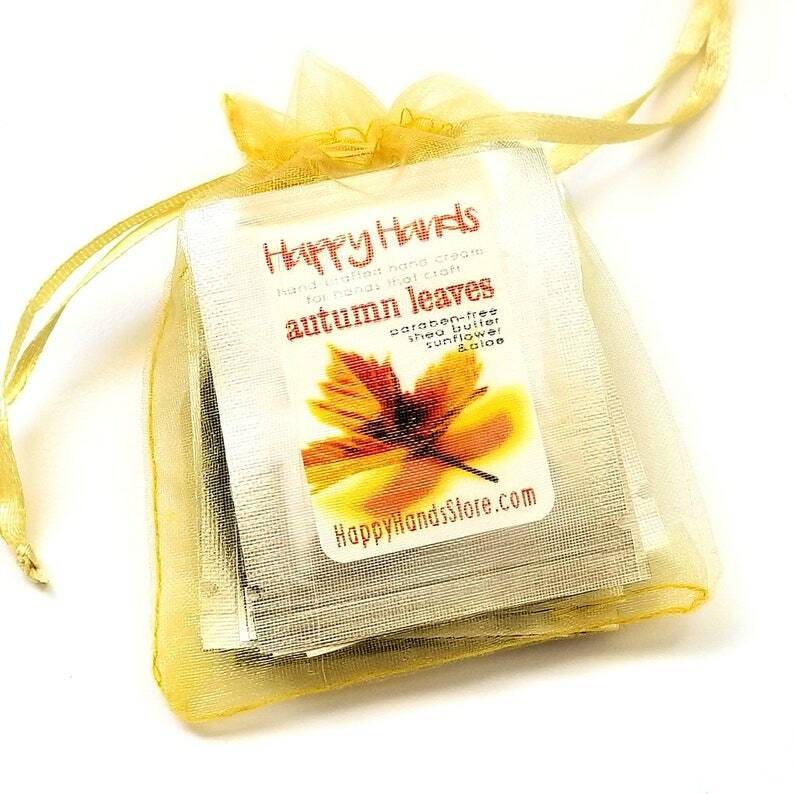 I create & label each packet for you, and enclose them in a festive organza bag, with a satin ribbon drawstring and pretty little fall leaf sprinkles. I'm using "oxygen proof" material for my packets, which keeps the lovely scents safe inside until you open the package. These Samplers make lovely gifts, stocking stuffers and party favors, or there's plenty to share with a friend. Or you can request your own custom scent assortment! Just drop me a line. Shipping was fast. I loved the soft scents and the fact that the cream does not leave your hands feeling greasy. Gave some sample bags to quilting friends who loved them as well. I got the Fall Sampler with a lemon zest sampler. I enjoyed most of the scents but the cream itself is lovely. It absorbed quickly and left no greasy feel and made my moderately dry hands feel wonderful. What a great variety of scents! Great way to try them and get in the holiday mood.